Sandals Resorts International (SRI), parent company of Sandals Resorts, Beaches Resorts and Grand Pineapple Beach Resorts, is pleased to announce the purchase of LaSource Resort in Grenada for an undisclosed sum. The agreement to acquire the resort was successfully reached after ongoing discussions with the Government of Grenada and represents the brand's first property in this Eastern Caribbean country. Sandals Resorts Chairman, Gordon "Butch" Stewart commented, "After looking to expand here for more than a decade, we are delighted to confirm the acquisition of our first ever resort in Grenada and are incredibly proud to have found the perfect location to add to our brand. We are confident that guests will continue to be impressed by our tradition of exceeding expectations through innovation and unwavering service, which has become our standard across the Sandals Resorts brand. We are eager to make our debut and share with guests not only the beauty of our new resort, but to share the beauty of Grenada, its culture and its people." 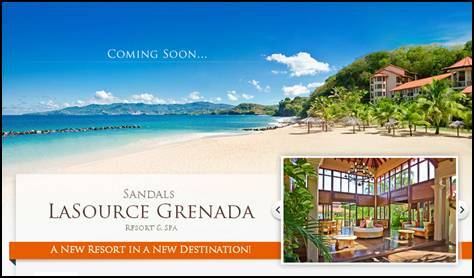 The property, which is located on the exclusive Pink Gin Beach and surrounded by the azure waters of the Caribbean on three sides, will become Sandals LaSource Grenada Resort & Spa and will open following certain enhancements customary to the Sandals Resorts brand. Once complete, the resort will have added nearly 100 rooms to offer a selection of 200 guestrooms, private cottages and bungalows, many of which will be concierge and butler-level suites, including the brand's signature Rondoval suites. According to Stewart, each of the resort's "magnificently-appointed" luxury accommodations will be "extremely spacious" and all will feature room service. The resort's enhancements will also include some of the brand's signature dining establishments such as the beachfront Neptunes, the delectable gourmet pastries and coffee creations of Café de Paris, authentic Caribbean and Creole cuisine at Spices, and other popular restaurants with Japanese, Italian and French influences. Other amenities will include an expansive new infinity pool and swim-up bar; a fully-equipped fitness center, a full-service Red Lane® Spa, plus a number of entertainment lounges including a library and piano bar. 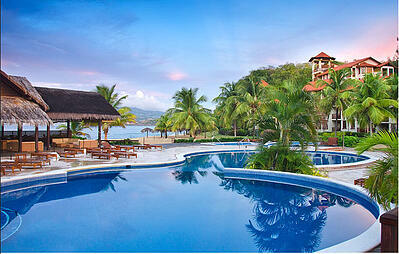 The newly announced property will be the fourteenth Sandals Resort in the Jamaican-based company's portfolio. Stewart credits the government of Grenada not only for their investment in the Sandals brand, but also for their effectiveness in bringing this partnership to fruition. "This has been nearly a 12-year search to grow our roots in the Spice Island. It is our distinct pleasure and honor to foster the expansion of tourism to this jewel in the Caribbean," Stewart said. Further details regarding investment, expected launch date and other confirmed information will be released in the coming days.